“When I was 10 or 11, I went to work in my father’s store for the summer. 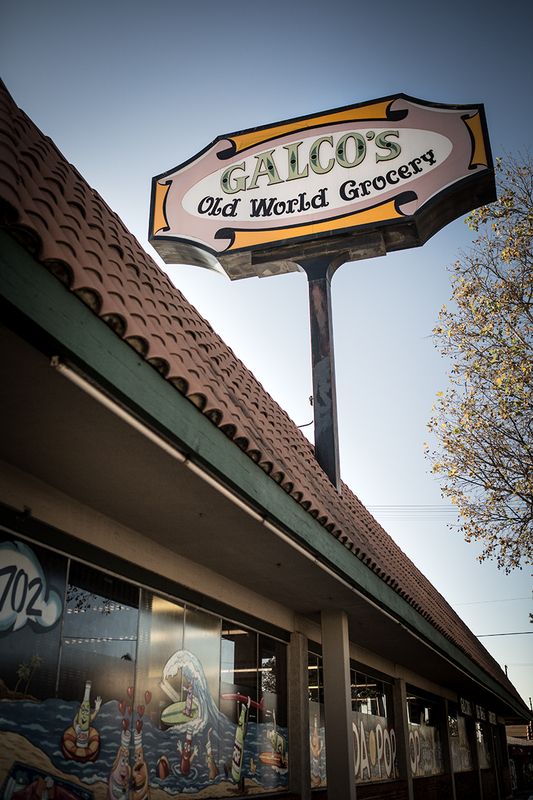 Every day at lunchtime I had a Blockbuster sandwich and a Dad’s Root Beer and boy was I in heaven,” reminisces John Nese, proud current owner of his father’s Galco’s Old World Grocery. Now, 50 years later, the Blockbuster sandwich is still served at Galco’s deli counter. The cheerful seating on the back patio is the perfect place to sit and enjoy sandwich and soda with friends. John is bright, welcoming, and passionate about soda. As we sit down at the traditional red-and-white checkerboard tablecloth, his smile is infectious. 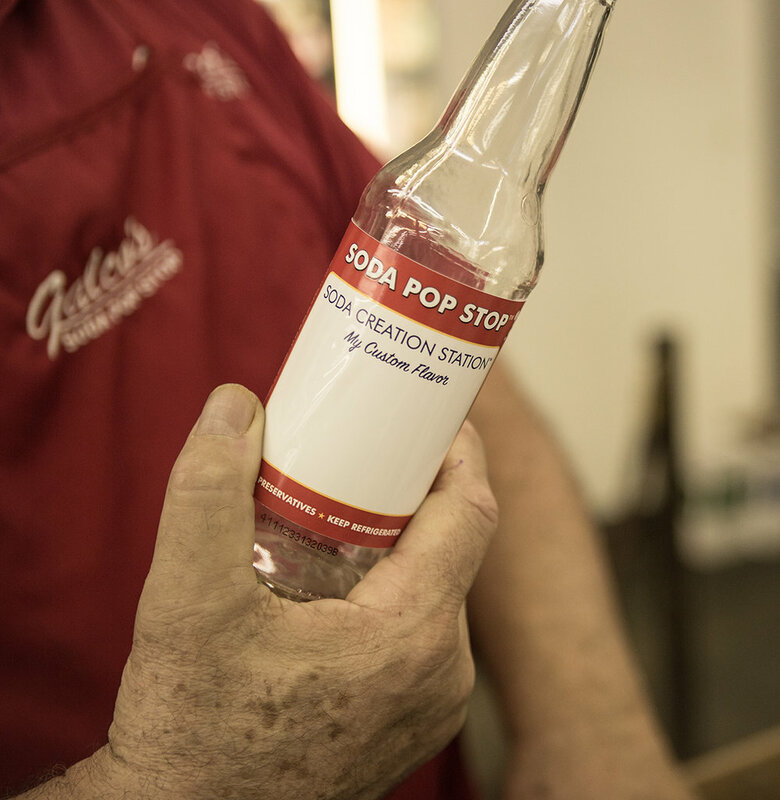 He describes the importance of the glass bottle with respect to preserving carbonation, and of real cane sugar, which allows the true, clean flavors of the ingredients to ‘pop.’ With Oldies on the sound system, and 750 types of soda, Galco’s is a feel-good place that sells happiness in a bottle. In hearing more about his family history, it becomes clear as to how and why Galco’s is a revered business in the Los Angeles area. “My father’s family came out here around 1900 from Italy, and settled in Chavez Ravine” (now Dodger Stadium). doing laundry for the miners. After 8-10 years of doing this and saving the money, she handed my grandfather two train tickets and said, ‘We’re moving to California’. In the beginning, John stood very strong against the push of large corporate beverage manufacturers back when Galco’s was still a corner grocery store. When corporate vendors wanted to sell him their product at the same price someone could buy it down the street, he refused to let them take over his shelf space. He trusted that he didn’t need to sell their big name products to survive, and he did not want to jeopardize the small independent beverage companies. Plus, his father used to tell him, “John, you have to go broke three times in your life to be successful.” So John took the chance and filled his shelves with what made him happy. How much more Americana can you get than soda fountains? Soda fountains were originally introduced in pharmacies at the end of the eighteenth century because they were an effective way of dispensing medications. Many soft drinks had their origins in herbal remedies for the medicinal properties of their ingredients. Doctors have suggested Quinine water to soothe leg cramps. Mint, ginger and gentian root mixed with soda water have been known to settle upset stomachs and aid in digestion. These are just a few of the key natural ingredients, many from true plant oils, that you can find in the sodas on the shelves of Galco’s, in LA’s vibrant and hip Highland Park neighborhood. So whether it’s Dad’s Root Beer for that special occasion, a Saturday Blockbuster-and-Original Soda-Creation lunch on the back patio with family, or to see if the medicinal properties of Mint Julep soda hold true, Galco’s has just want the doctor ordered. Check out the sincere and captivating character of John Nese on the video clips at www.galcos.com. I just want to hug him. Some Australians call it “lolly water"
So where did the term soft drink come from?